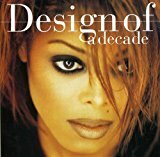 Janet Jackson - Best of: Desig.. Product weight is 0.24 lbs. JACKSON JANET DESIGN OF A DECADE 1986/96 Import pressing of the R&B diva's 1995 compilation includes different artwork and two bonus tracks unavailable on the U.S. edition: 'Whoops Now' and 'The Best Things in Life Are Free'. Once thought of as 'Michael's little sister', Janet has carved out her own musical identity and has become one of the most successful female R&B vocalists of all-time. Her string of hits in the '80s equaled that of her controversial brother, even surpassing his success in the '90s. Though not a prolific artist, Janet's albums are always a cause for celebration and this collection of hits is a party waiting to explode! 18 tracks.